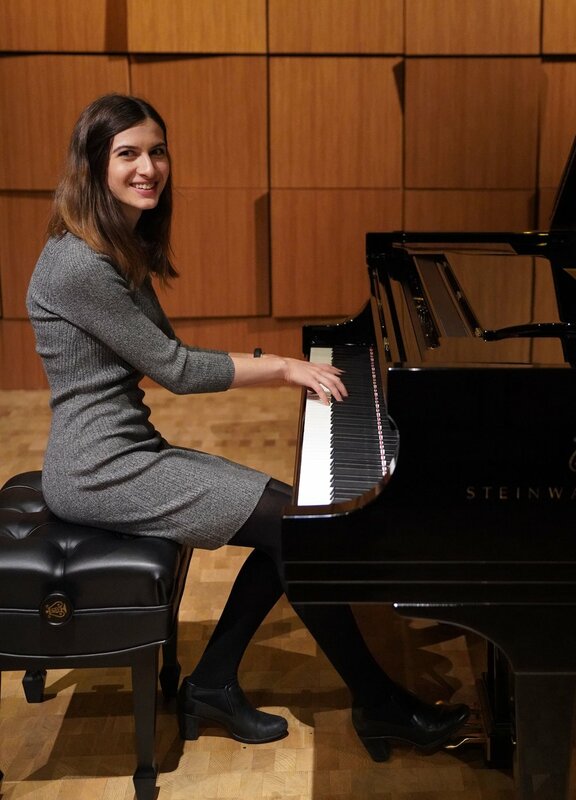 A Boston native, Sophie Kohn, is a board-certified Music Therapist (MT-BC) who holds a BFA in Piano Performance from Tulane University and a postgraduate equivalency in Music Therapy from Berklee College of Music. She has been trained in classical piano. In addition, she also plays the guitar, mandolin, banjo, and harp. She is enthusiastic about learning new genres and new instruments, as well as writing and performing original songs. Sophie has several years of experience both as a music therapist and music teacher. She has taught private piano lessons and small group music classes. As a music therapist, she has worked with children with special needs in school settings as well as in private clinical settings. Sophie is passionate about using music to help her clients communicate, self-advocate, and express themselves. She believes that music is one of the most powerful mediums through which an individual can grow, and has a client-centered and music-centered approach to therapy. She loves working with children and being able to watch them develop and achieve their goals, both inside and outside of the music setting. Postgraduate equivalency in Music Therapy from Berklee College of Music, Boston MA.